A bit hectic lately but I'm happy that Surabaya now is getting greater. So many new stores coming up, delicious food here and there, beautiful cafe to hang out, and bloggers in Surabaya get more recognition now. 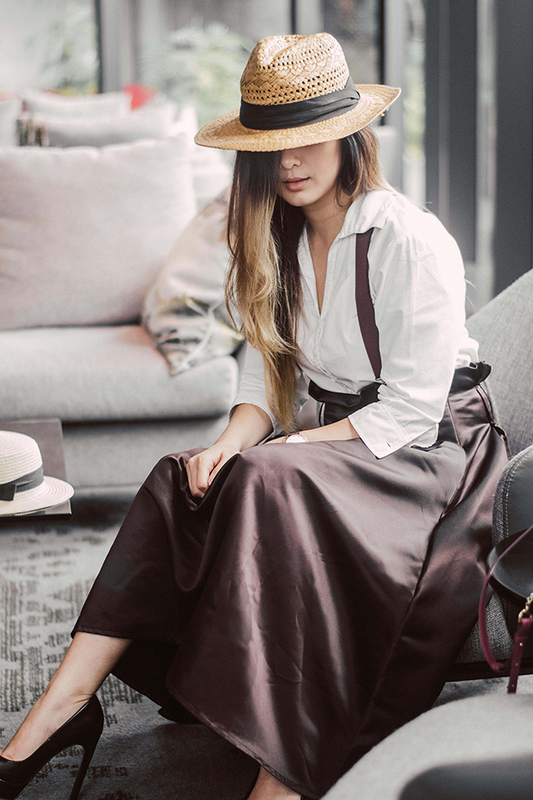 Today as I write this post, so many chic places to take photos in Surabaya. One of my favourite is where I took this pic, Kawi Lounge. It's located at Sheraton Hotel Surabaya, but they come up with the new look. Took this pic while having my we-time with my partner in crime, I choose to create a preppy look that day. 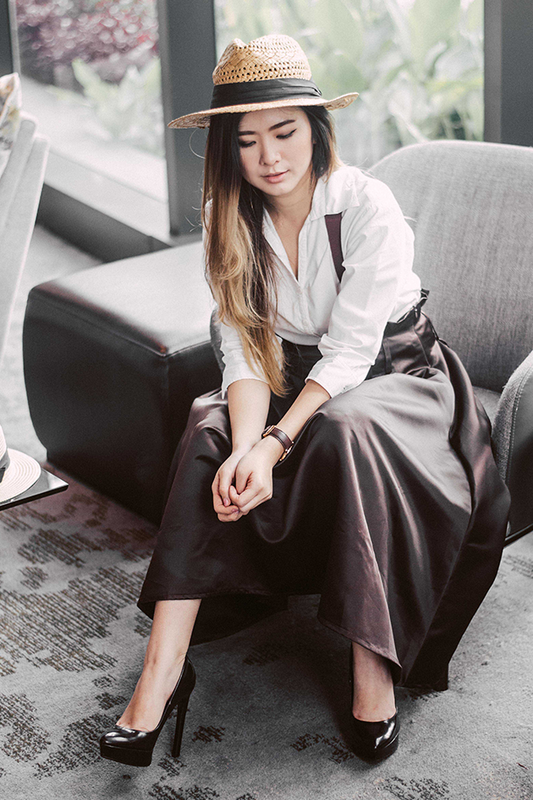 Got this silk midi skirt from my favourite brand, AVGAL Collection, paired it with plain white shirt and I add a suspenders complete the preppy look. For shoes, I still choose a pair of pump heels to avoid way too nerdy, well, a pump shoes always drive us to a different level I think. So,after reading your article. I finally made my decision with a red dress long sleeve"